Netherlands has brought us a ton of great bands, it’s hard to calculate the exact number. My Minds Mine is among them. I was really glad to read about their reunion few years ago. Time was running out and in the end of 2018 MMM presented us with a huge and buzzing album “Passengers Of The Void”. I was smashed by the preview track and I said “Wow” when I first saw the album art. This image is really brutal. Wild, savage characters, blood and violence… it’s just a perfect combination (the idea of this art reminds me of the film The 13th Warrior ). Maybe the cover drawing is depicting some evil primitivity, but the music itself is pretty technical. This album is representative of Grindcore in its undiluted form: short bursts of ultra-fast power cords and blast beats that assault the listener. The vocals are completely crazy, and the lyrics consist of savage topics. The guitars and bass have a nice heavines. The drums and vocals are loud and the blasting is good. Riffs are short, fast with a great tone. 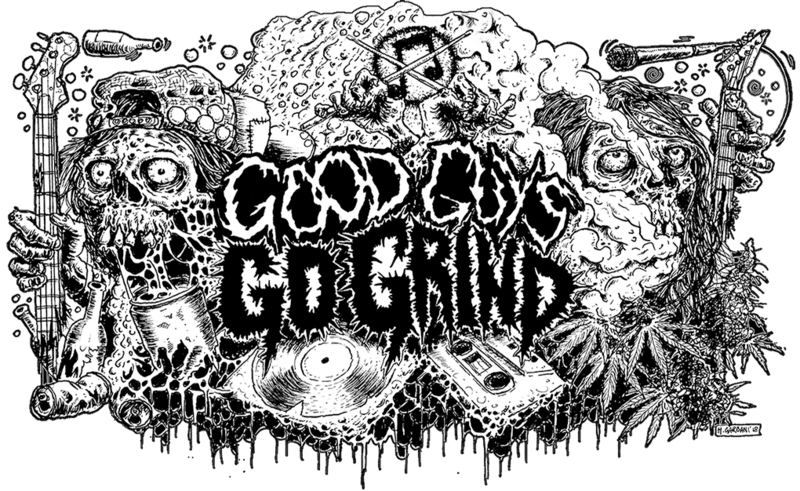 This album has all the main attributes and main ingredients of Grindcore. The “Passenger Of The Void” and “War Corrosion” songs are also crushing. I’m not gonna go into too many details, but they are truly, truly killer. “Empty Carcass” nailed me with its first riffs which were taken from Godzilla main theme (pretty similar to what Disrupt did with their song “Unrest”). The whole production of this album is strong, sound is great, songs are interesting and exciting, the art is cool as hell. This album turned out to be a great ending of 2018. If you haven’t heard this album yet, then you should do it asap! Previous Previous post: Grind party in Moscow! Next Next post: Split Lifespite/ Hostage!